Idol group Nogizaka46 2nd photobook “1 Jikan Okure no I love you” released on 5th August 2016 came in top in the Books section of Oricon Chart, with 41,000 sales. Filming took place overseas in Guam. The girls donned themselves in beach fashion and were filmed having fun under the skies and in the sea. A highlight is also their swimwear fashion. 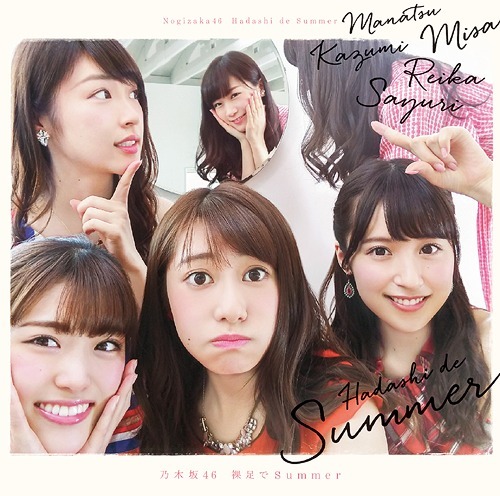 Nogizaka46 15th single “Hadashi de Summer” will be released on 27th July 2016. 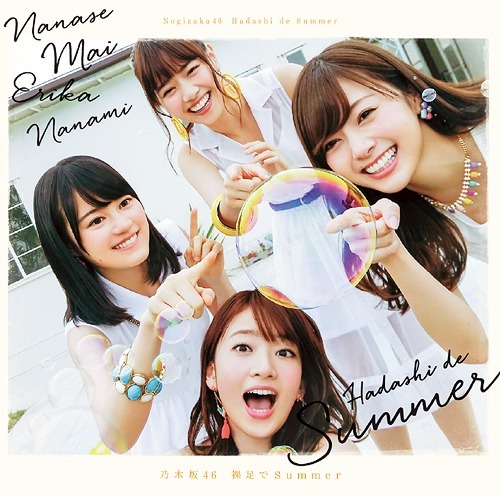 The MV was filmed in Okinawa in the middle of June, mainly around Nago and Ginoza. It portrays the girls aiming for the skies with their own strengths, while enjoying themselves irregardless of the time. Their jacket covers feature selfies of the members, showing their natural selves. I dun really like the sound but these girls look beautiful…great styling efforts here! The 5 hour show took place last night with artistes singing their usual hits. E-girls – Dance with me now! Sandaime J Soul Brothers – Unfair World/Summer Madness/R.Y.U.S.E.I. Ryoha takes Rena’s center position! I love Ryoha! This time we have a dream collaboration between the girl groups in Japan! 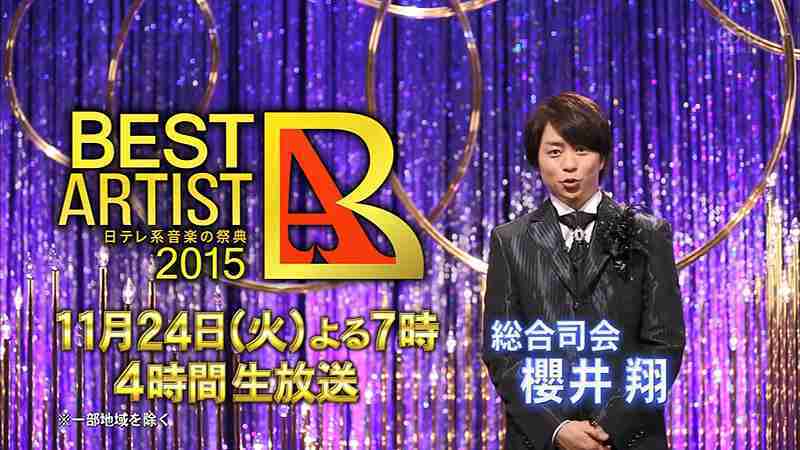 I wanted to add in KAT-TUN’s performance but it’s nowhere to be found. The 4hour show last night featured some nostalgic songs which brings us back to the days of classic Jpop. This is just Part 1 of the show, and Part 2 airs 2 weeks later on 16th December 2015. It’s been quite awhile since Boa appeared on Japanese TV. In terms of vocals, no one is better than Boa! Some netizens thought Tomomi Kahala’s singing was better but i think her vocal style is too old school. I’m glad AKB48 is ending the year promoting 2 great songs. I didn’t like Kuchibiru as much as 365nichi earlier on. However, the cute choreography,costumes and perhaps the members’ enthusiasm for this song is making it shine. Takamina looks cute now with her slanted pigtails. Jurina looks gaunt in Love Crescendo but in this song she’s just 18 like she should be. It might be the stage setting or their glittering suits, but i think they look especially cool today on skates. I’ve never seen collaborations of Arashi with girl groups so this is a first! Momoiro Clover Z did a great job dancing for Arashi. The biggest news of the night: Taguchi Junnosuke announces departure from KAT-TUN and Johnny’s Jimusho. Taguchi says he’s turning 30 soon and this decision was made for the sake of his future. I am just sad that this once-upon-million-selling-group is disintegrating in this manner. Matsumoto is so dorky in this performance and as usual “Ai wo Sakebe” is a godly performance! I saw Girlschannel users looking forward to NEWS’ “Ai Kotoba” and indeed it’s a GREAT song! I prefer the Asa ga Kita song over Kuchibiru. 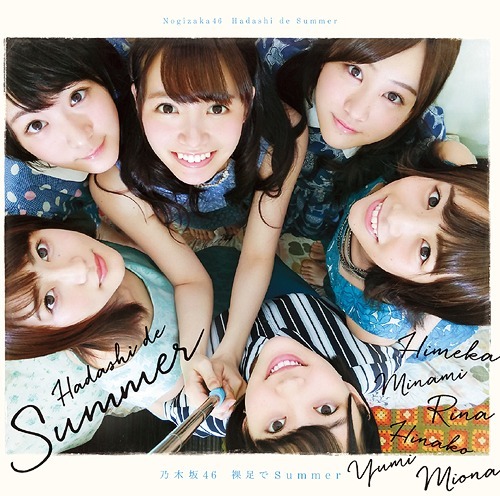 Kuchibiru has a good tune, really colorful like what you’d find in a carnival but the lyrics are simpler than simple, and cutesy just doesn’t work for most members now. Quite honestly, i’m cringing whenever Takamina does the winks and pouts.